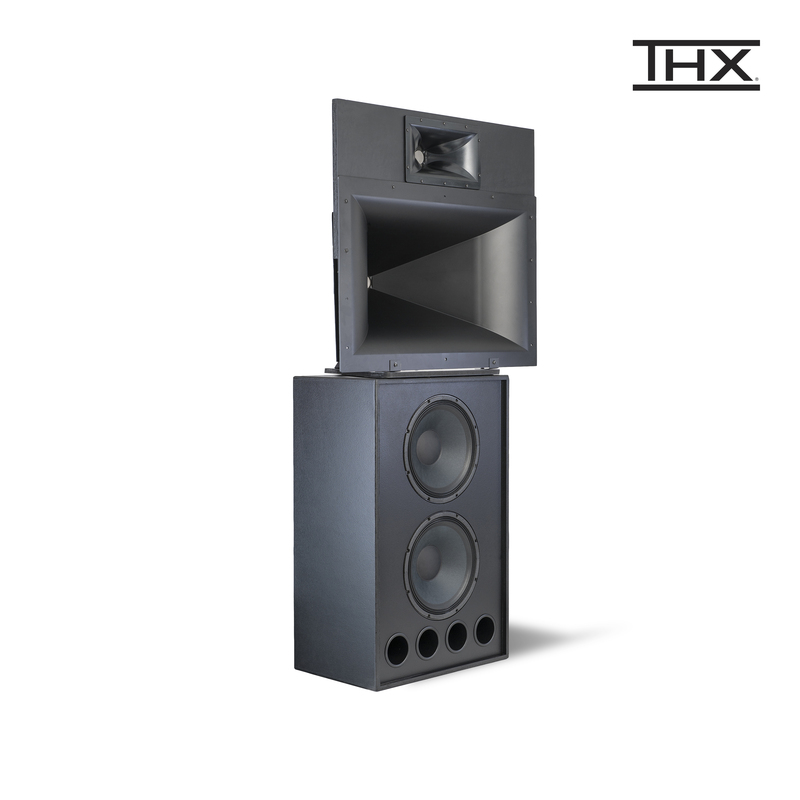 3-Way speakers designed to have each system component (High Frequency/Mid Frequency/Low Frequency sections) individually powered by three separate amplifier channels. 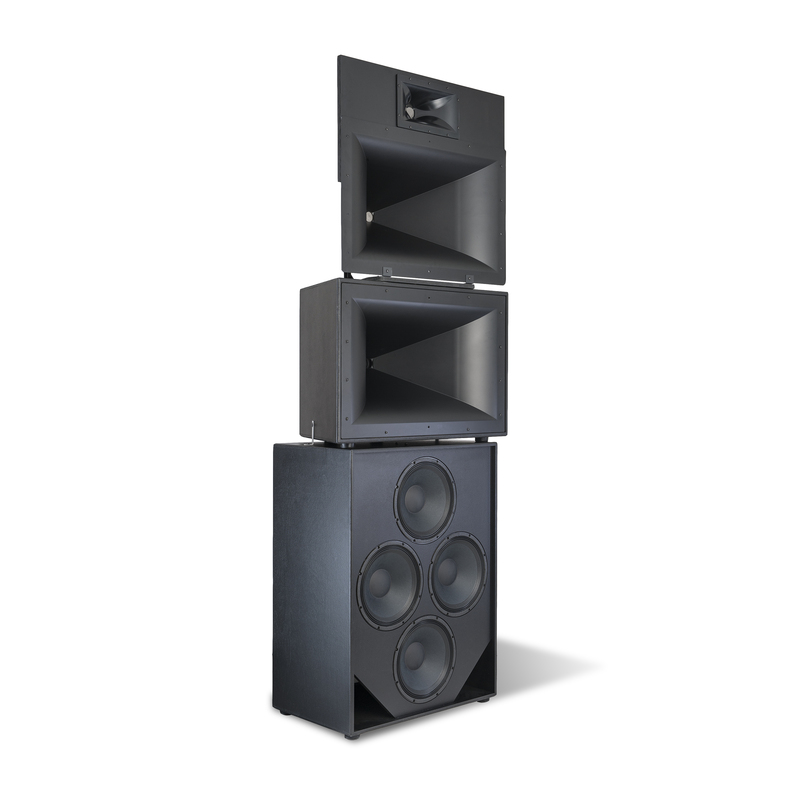 This configuration provides the system’s maximum sound pressure level (SPL) for larger auditoriums and allows for both input level adjustment and the application of precise electronic crossover frequencies and time alignment for all system components on an individual basis. 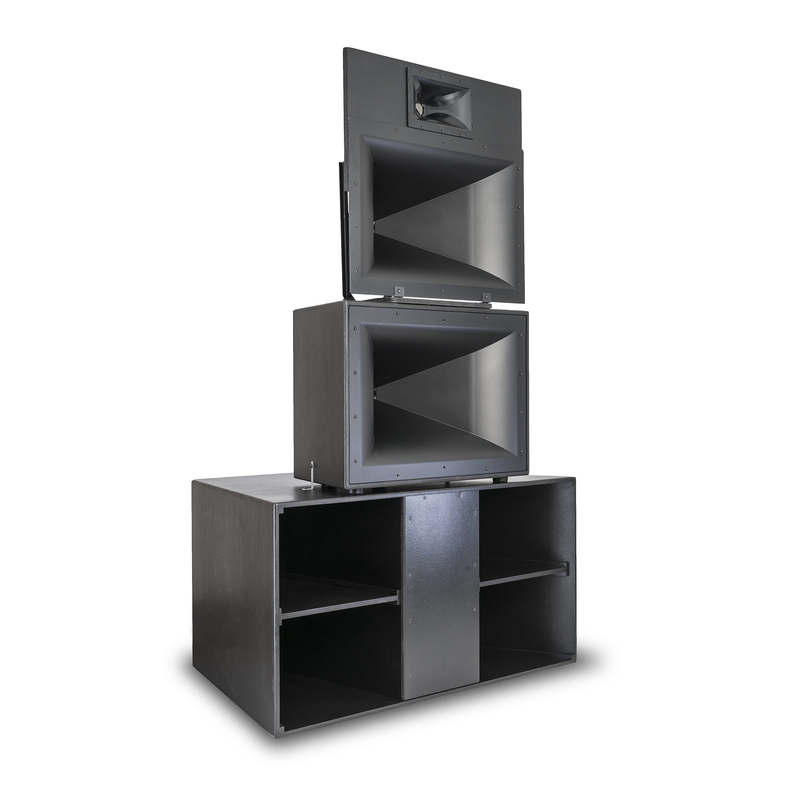 4-Way systems equipped with a Klipsch Passive Processor that allows the four system components (High Frequency/Mid Frequency, Mid Bass and Low Frequency sections) to be powered by three separate amplifier channels instead of four. This system type still allows some input level adjustment and adjustment of electronic crossover frequencies and time alignment of system components with a less complicated setup requiring less wire runs due to a reduced number of amplifier channels being used and takes advantage of the fact that most HF/MF components require similar amplifier power. The four-way KPT-MCM-II is now offered with a passive crossover network in order to be powered via a tri-amp configuration. It is a perfect solution to reduce amplifier numbers, wiring lengths and labor time in a new or retrofit application. The KPT-745-T is designed to generate similar audience emotions as the KPT-MCM-II, but from a much shallower cabinet to accommodate a more limited behind screen space. The addition of a passive processor allows for operation as a tri-ampable system that requires less amplifiers, less wiring runs and reduced labor hours. 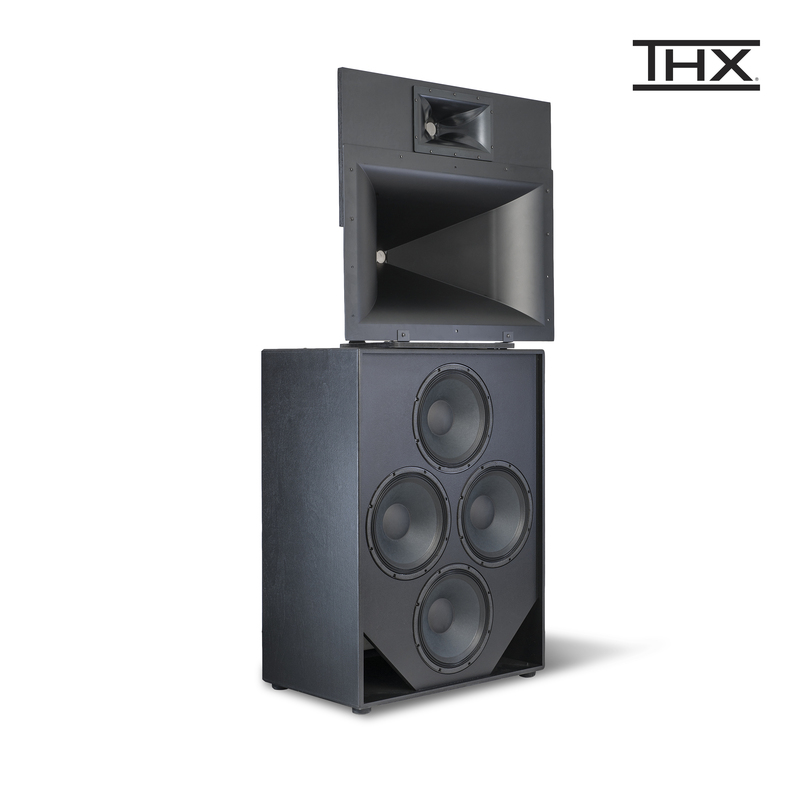 This THX®-Certified system is an enhanced version of the KPT-535-T with a KPT-415-LF quad 15-inch direct-radiating bass unit for greater output in large auditoriums. Yet it retains the smaller system's 24-inch depth minimizing the valuable theater space consumed by the area behind the screen. The dialogue range is superbly handled by a KPT-402-MF Tractrix® Horn fronting a K-1133 two-inch exit titanium compression driver. And a KPT-Grand-HF-T Tractrix® Horn ensures smooth effortless treble reproduction. The KPT-535/4-T is also available with a passive mid/high crossover to operate in either a bi-amp configuration (KPT-535/4-B) or mono-amp configuration (KPT-535/4-M). The KPT-535-T with its 24-inch depth allows for more real estate where it matters-in the auditorium.